A new microscope imaging system, modulation contrast, has been devised that reveals phase gradients; the image intensity is proportional to the first derivative of the optical density in the object. The modulator, a special filter, is placed in the Fourier plane, a plane conjugate with a slit aperture. The image of the slit aperture is registered within a gray region of the modulator; on one side of the gray region is a region of low transmittance and on the other side, a region of maximum transmittance. The modulator processes opposite gradients to produce opposite intensities, creating an optical shadowing effect. The dark region may be outside the optical system when the gray region is offset to the edge of the Fourier plane, to achieve maximum resolution. Modulation contrast is directional and capable of optical sectioning, revealing details without obscuring effects of structures above and below the plane of focus. 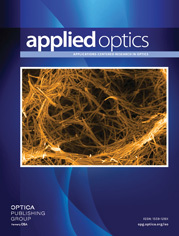 The imaging theory of microscope optics has been extended to include effects of phase gradients. Phase gradients distribute the zero order across the Fourier plane. Intensity of the gradient's image is controlled by the zero order of the gradient diffraction pattern.